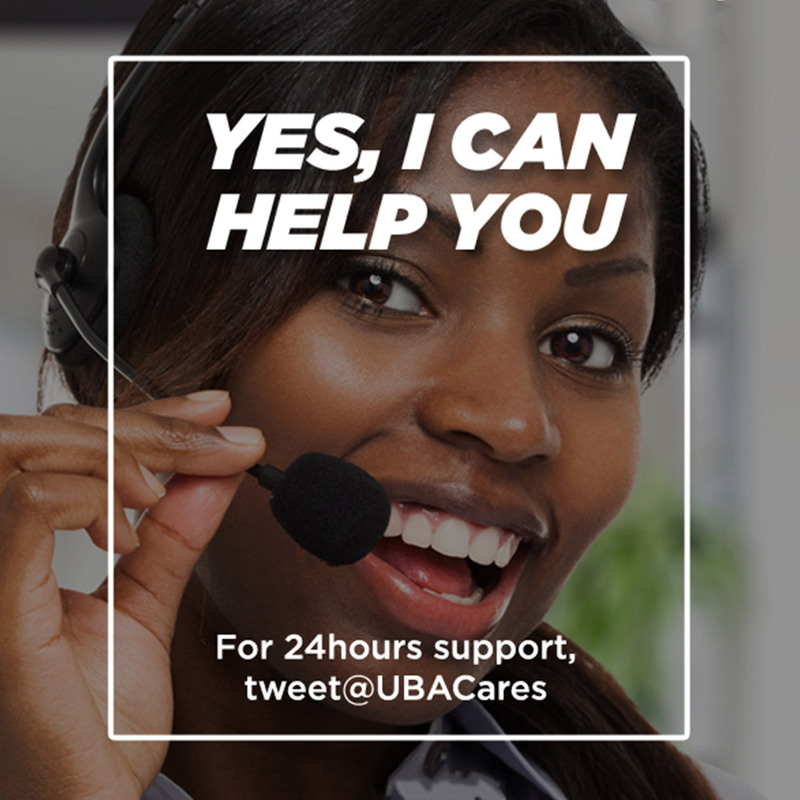 UBA shall use personal information to provide you with better customer services and products. All UBA Group of companies, staff and all third parties with permitted access to your information are specifically required to observe our confidentiality obligations. UBA collects personal information that we believe to be relevant and required to understand your financial needs and to conduct our business. UBA may pass your personal information to other UBA Group of companies, subsidiaries or agents, as permitted by law. UBA may be required from time to time to disclose your personal information to Governmental or judicial bodies or agencies or our regulators, but we will only do so under proper authority. At United Bank for Africa Plc and Group of companies (hereinafter referred to as 'the Bank'), security is our top priority and we always strive to ensure that your personal data shall be protected against unauthorised or accidental access. We maintain this commitment to data security by implementing appropriate physical, electronic and managerial measures to safeguard and secure your personal data with us. Our commitment to Data Security is paramount to us at UBA. Your personally identifiable information is kept secure. Only authorized members of staff, agents and contractors (who have agreed to keep information secure and confidential) have access to this information. UBA and its customers shall play an important role in protecting against online fraud. You should be careful that your bank account details including your User ID and/or Password are not compromised by ensuring that you do not knowingly or accidentally share, provide or facilitate unauthorised use of it. Do not share your User ID and/or password or allow access or use of it by others. UBA endeavours to put in place high standards of security to protect your interests. You should safeguard your unique User ID and Password by keeping it secret and confidential. Never write them down or share these details with anyone. In the event that you think and or know your User ID and/or password has been disclosed to a third party, is lost or stolen and unauthorised transactions may have been conducted, you are responsible to inform us immediately. The General Data Protection Regulation (GDPR) of the European Union imposes new rules on organizations that offer goods and services to the Citizens and residents of the European Union (EU) as part of the business requirements if an organization collects, stores, processes data tied to EU residents, no matter where they are located. This law came into effect by May 25, 2018. UBA, by offering services to EU citizens through our Offices in Nigeria and 19 African locations, the United Kingdom, New York and Paris Offices where the Bank collects and analyses data tied to EU residents, is mandated to be compliant to GDPR. United Bank for Africa will be known as the “controller” and “processor” of the personal data you provide to us. United Bank for Africa is a registered Bank with Headquarters at 57 Marina Street Lagos, with Business offices in 20 African countries; New York, United Kingdom and France. We will only collect basic personal data from you which will include Name; Address; Nationality; Email, Phone number; ID Number; Bank Verification Number (BVN) and any other information as may be mandated by the regulatory requirements of the respective countries and the European Central Bank. We will NEVER ask for personal banking information such as the following: Card details (CVV); PIN; Password; Secure Passcode; Token number. We require your basic personal data to provide you banking services you have engaged us for based on the requirements from the respective Central banks and/or governmental regulations. All the personal data that the Bank collects from you will be held and processed from our Facilities at Lagos Headquarters or any of its subsidiaries and/or authorized service providers where applicable in a secure manner. The Bank is compliant to the latest Information security standards such PCI-DSS, ISO/IEC 27001:2013 etc. Unless required by a Legal or regulatory requirement for the Banking services, your data will be held confidential. We will take all reasonable actions to ensure that personal data of all customers and employees are handled securely and in a controlled manner. As a regulated financial services institution, we will retain your personal data for a period of 10 years or as may be required by regulation in the country under consideration, after which it will be disposed of as required under the respective Government laws and Banking regulations. Please note that regulations may require the Bank to retain your personal data for a specified period of time even after the end of your banking relationship with us. In order to enable you to obtain banking services through us, we will require to collect, store and process some of your personal data as required under law. Your consent is required in order to make banking services available to you in accordance with the law/regulation in force. Please click here to express your consent to allow us to collect and use your personal data to continue providing you banking services. If you want to know more on this subject or withdraw your consent to all or some of the consent, please contact us. We will be more than glad to help you in accordance with the regulations. Use of "cookies”: Your visit to this site may be recorded for analysis on the number of visitors to the site and general usage patterns. Some of this information will be gathered through the use of "cookies". Cookies are small bits of information that are automatically stored on a person's web browser in their computer that can be retrieved by this site. Should you wish to disable these cookies you may do so by changing the setting on your browser.